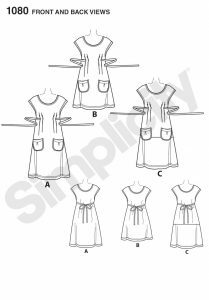 I had noticed this pattern popping up frequently on Pinterest and various dressmaking blogs and was fortunate that Meg at New Threads donated a copy of the pattern for me to try out. As I had recently made up a Simplicity pattern using the Large size and having checked measurements, I went straight ahead and cut out the version B using a Blue background, bird-printed cotton from Fabricland, Salisbury branch. 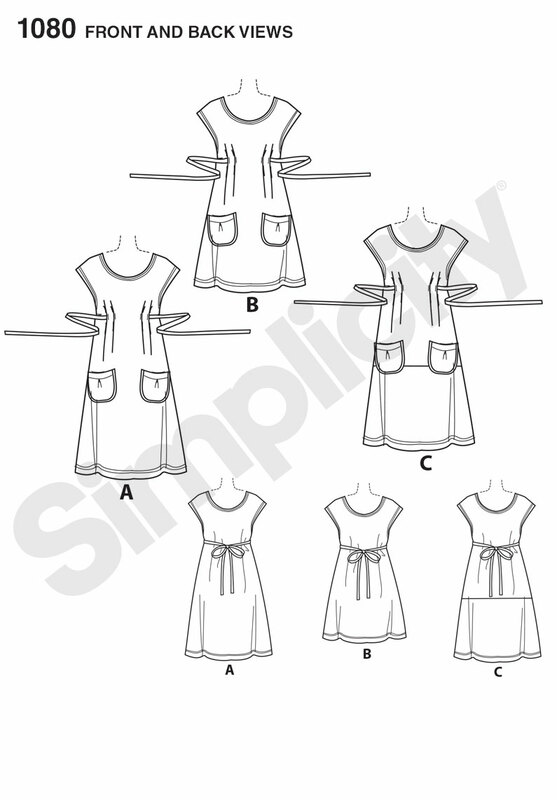 I found the instructions overly complicated with lots of what I considered to be excessive sewing procedures. Topping the shoulder seams with double stitched binding was just one of those procedures. But I went ahead and finished the tunic top. Once completed, I tried the tunic for its first and only fitting. What a blow – it was just too tight. The tucks for the bust shaping were much too high, the armholes/cap sleeves were tight and binding. The pockets looked ungainly, all in all just not a good looking garment on me. So, I offered the tunic top to a friend who is a good size smaller than me. She also found the entire bust and shoulder area too small. With that the tunic top has been “hanging around” awaiting photography and listing on eBay. Just in time, my sister came for a visit. Now she is 4 (yes 4!) sizes smaller than me and finally I had found someone whom the tunic would fit. Catherine did feel that the bust area was only just big enough, so where on earth did I go wrong? Who knows (and quite frankly, who cares?) but the pattern has been consigned to the charity bag. 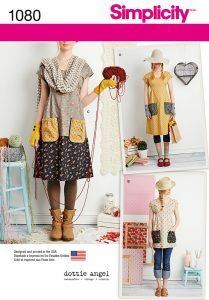 I have plenty of patterns old and new that I can make up with confidence that they will fit. 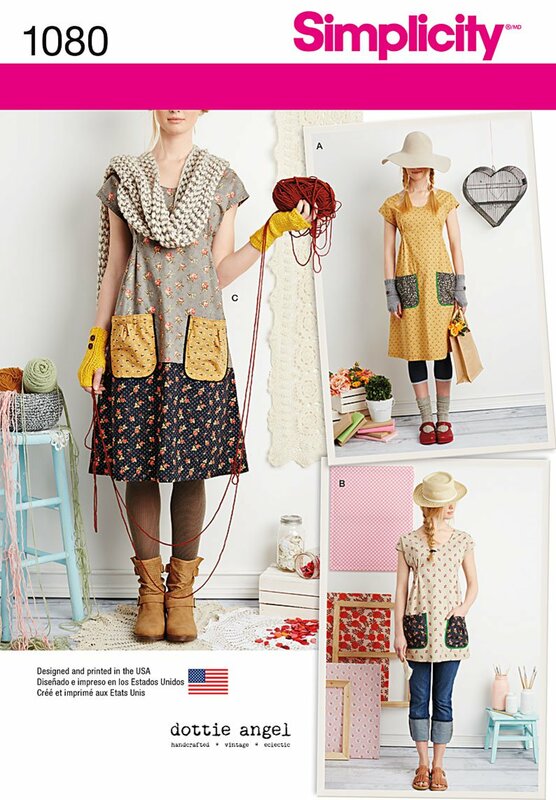 So onwards and upwards, I shall get stitching with my new fabrics – I feel some more Bettina dresses coming on!